Not long ago, designer Ernst Mauch unveiled a revolutionary new handgun that grew out of a desire to merge digital technology with firearm safety. Known as the “smart gun” – or Armatix iP1 – this pistol comes with a safety feature designed to ensure that only the guns owner may fire it. Basically, the gun comes with a watch (the iW1) that it is synchronized to, and the weapon will only fire if it is within ten inches of it. So unless you’re wearing the iW1, the weapon will not fire in your hands. The weapon is in part the result of attempts to find intelligent solutions to gun safety and gun violence. And Mauch’s design is one of several proposed innovations to use digital/smart technology for just such a purpose. Back in January, the Smart Tech Challenges Foundation launched the first of four $1 million challenges aimed at inspiring the kinds of innovation that could help lead to safer guns – and a reduction in the number of tragic deaths and injuries that make the headlines nearly every day. Given the recent failures to reach a legislative solution to the ongoing problem of gun-violence, these efforts should come as no surprise. And Mauch, the lead designer of the iP1, claimed in a recent op-ed piece with the Washington Post that the number of gun enthusiasts will rise as the result of its enhanced safety. As a designer who’s patents include the USP family of pistols, the HK416 assault rifle, G36 assault rifle and XM25 grenade machine gun – he is a strong advocate of a market-based solution. The gun has already sparked a great deal of controversy amongst gun advocates and the National Rifle Association. Apparently, they worry that legislation will be passed so that only smart guns can be sold in gun stores. This is largely in response to a 2002 New Jersey law that stipulated that once the technology was available, that smart guns be sold exclusively in the state. As a result, the NRA has been quite vocal about its opposition to smart guns, despite offers made to repeal the law in exchange for them easing their position. 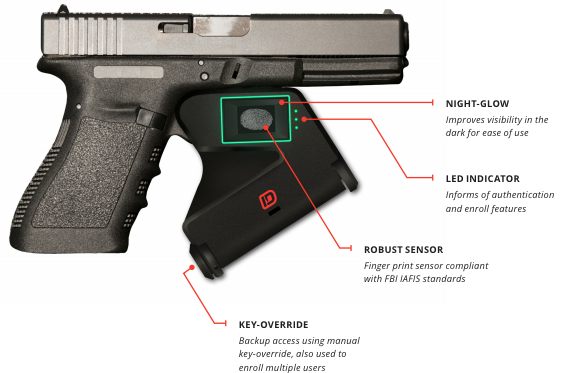 As already noted, the iP1 is not the only smart technology being applied to firearms. 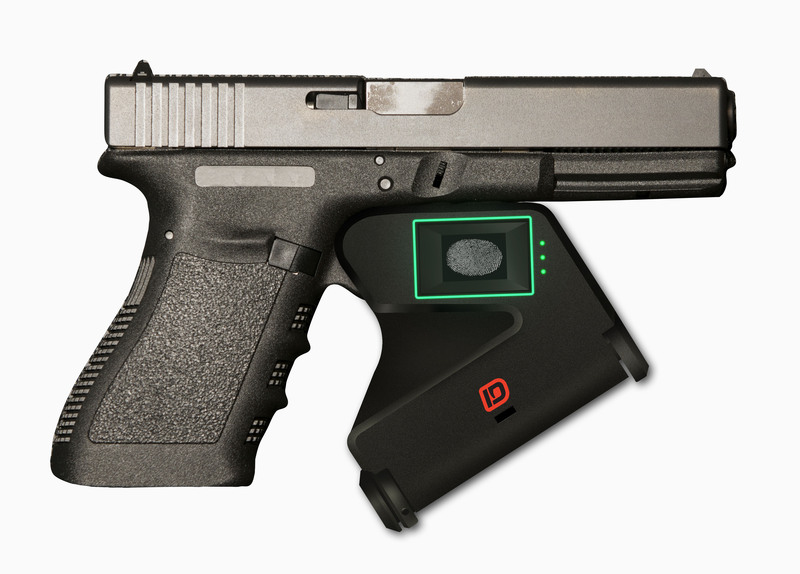 Sentini, a Detroit-based startup founded by Omer Kiyani, is designing a biometric gun lock called Identilock. Attaching to a gun’s trigger, it unlocks only when the owner applies a fingerprint. As an engineer, a gun owner, a father, and the victim of gun violence (he was shot in the mouth at 16), he too is committed to using digital technology and biometrics to make firearms safer. The idea of an airbag is so simple. You inflate it and can save a life. I made the connection. I have something in my house that’s very dangerous. There’s got to be a simple way to protect it. 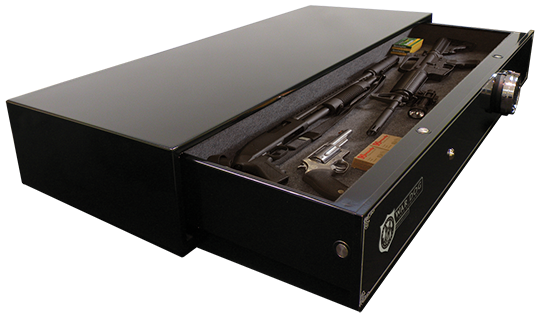 Initially, Kiyani considered technology that would require installing electronic locking equipment into the guns themselves, similar to what the iP1 employs. But as an engineer, he understood the inherent complications of designing electronics that could withstand tremendous shock and high temperatures, not to mention the fact it would be incredibly difficult to convince gun manufacturers to work with him on the project. The Identilock is also designed using entirely off-the-shelf components that have been proven effective in other industries. The biometric sensor, for example, has been used in other security applications and is approved by the FBI. Cobbling the sensor together from existing technologies was both a cost-saving endeavor and a strategic way to prove the product’s effectiveness more quickly. Currently, the project is still in the prototype phase, but it may prove to be the breakout product that brings biometrics and safety together in recent years. And last, but certainly not least, there is the biometric option that comes from PositiveID, the makers of the only FDA-approved implantable biochip – which is known as the Verichip. In the past, the company has marketed similar identity-confirming microchips for security and medical purposes. But this past April, the company announced a partnership with Belgium-based gun maker FN Manufacturing to produce smart weapons. The technology is being marketed to law enforcement agencies as a means of ensuring that police firearms can never be used by criminals or third parties. The tiny chip would be implanted in a police officer’s hand and would match up with a scanning device inside a handgun. If the officer and gun match, a digital signal unlocks the trigger so it can be fired. Verichip president Keith Bolton said the technology could also improve safety for the military and individual gun owners, and it could be available as early as next year. Regardless of the solutions being proposed and the progress being made, opposition to these and other measures does not appear to be letting up easily. New Jersey Senate Majority Leader Loretta Weinberg recently announced that she would introduce a bill to reverse the 2002 New Jersey “smart gun” law if the National Rifle Association would agree not to stand in the way of smart gun technology. The NRA, however, has not relented in its stance. 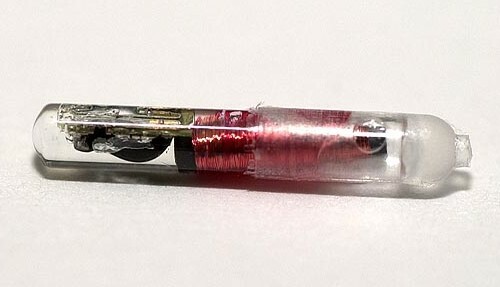 In addition, biochips and RFID implants have a way of making people nervous. Whenever and wherever they are proposed, accusations of “branding” and “Big Brother” monitoring quickly follow. And above all, any and all attempts to introduce gun safety are met with cries of opposition by those who claim it infringes on citizen’s 2nd Amendment rights. But given the ongoing problem of gun violence, school shootings, and the amount of violence perpetrated with stolen weapon, it is clear that something needs to change. 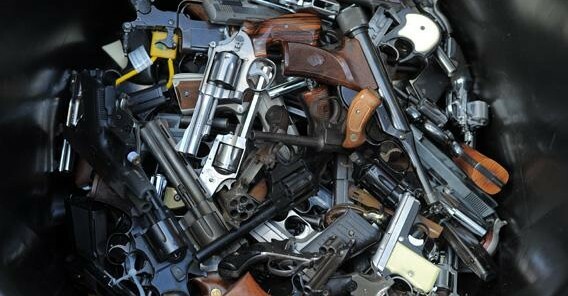 In 2011 in the United States, roughly 3.6 people per 100,000 were killed with a firearm – which amounts to 32,163 people. In addition, of the 15,953 homicides committed that year, 11,101 were committed using a gun; almost 70% of the total. And not surprisingly, of those 11,101 gun-related homicides, more than half (An6,371) were committed using a handgun. And though exact figures are not exactly available, a general estimates indicates that some 90% percent of murders are committed with stolen guns. 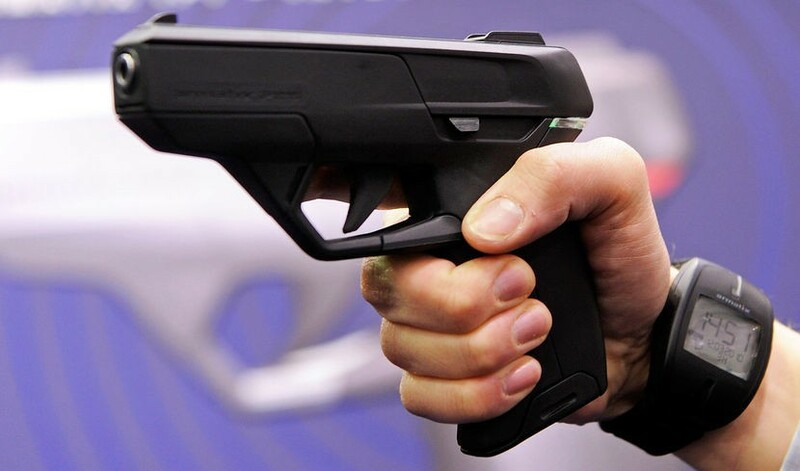 As a result, it is likely just a matter of time before citizens see the value in biometric and smart gun technology. Anything that can ensure that only an owner can use a firearm will go a long way to curbing crime, accidents, and acts of senseless and unmitigated violence. News from Space: Mars Gets New Crater! Let’s require gun manufacturers to use them today. Well, that’s what the pro-gun lobbyists and the NRA are claiming the government will try to do, which is their justification for fighting it. I wonder if there’s a way to charge them with interference in the affairs of government? Anybody that considers the iP1 as a serious product is too uninformed to even discuss the topic. A gun that fails 20% of the time to fire and has a remote shut off so that bad guys can turn your off you gun remotely. The .22LR caliber is not useful in any self or home defense role. This idea has been tried by the major players like Colt and S&W many years ago, it was found that the technology worked (not like the unreliable iP1) but that it caused more deaths that it prevented. I suspect that we will continue to see electronics in guns, especially in the target enhancement areas. Otherwise, just get a clue. That statistic is a phoney one, my friend. It’s based on a Popular Mechanics article from 2003, and has to do with a fingerprint recognition system, not the iP1 Smart Gun and whether or not it works. Perhaps you should learn the source of your information before telling others to “get a clue”. But your comment certainly proves my point: this is a controversial issue. And as with such issues, there are always people who react to them hastily and make claims that are based on fear and anger rather than fact. Biometric technology does show great promise as a way to help prevent unauthorized use of a firearm. However, the fact that it isn’t considered reliable enough to be counted on in a life or death situation is evidenced by New Jersey’s law which specifically exempts law enforcement and military. It the technology becomes reliable enough that its fielded by both of these groups, its credibility would be proven and laws mandating their sale wouldn’t be necessary. One has but to look at other technology adopted by both law enforcement and military, and you’ll also find a growing civilian market. One example is that makers of pistol holsters have designed retention features that prevent unauthorized people from easily taking an officer’s weapon. They have since been widely fielded by uniformed officers and these features have spread to the civilian market. In fact, the holster I use has such a feature. Perhaps, but that law was written in 2002. And the speculation about the firearms being only 80 effective is based on a 2003 article from Popular Mechanics, which dealt with a fingerprint recognition system and not the ability of the guns to fire. I’m not disputing that. In fact I believe Politco recently did an article documenting that. The dynamic that has caused all of this controversy is that NJ passed a law based only on something being marketed, and didn’t think to include anything to show any awareness that while something might be marketed, that doesn’t necessarily translate over to it being worth a damn for its intended purpose. And including the law enforcement exemption is evidence that the technology isn’t ready for real world defense, but that a regular citizen’s lsnt as important as a police officer’s, when in reality, when deadly force is needed to defend one’s life, both the police officer and the citizen need it just as badly. Yes, but the NJ Senate Majority Leader offered to repeal that law in exchange for the NRA dropping its opposition to smart guns in general. However, the NRA has chosen to maintain its resistance to the adoption of the weapons, and people on the anti-smart gun camp continue to insist that they have a failure rate of 20%, which is a complete misrepresentation. If the NRA agrees, and a similar law is promoted in NY, may the NRA oppose? The NRA reviews guns monthly. May the NRA give a smart gun a poor review? May an NRA member write a letter to the editor? How far does this proposed gag order go? I am amazed that you find this “offer” to the NRA to be serious. To even be considered, not only would the NJ law be repealed but similar proposed laws in other states must be withdrawn and their sponsors pledged not to reintroduce. Also, the Brady gun control group and Bloombergs group need to renounce efforts toward such laws. What’s that — you don’t see that happening? But you still condemn the NRA for not taking the thus worthless original offer? You don’t believe that a goal of most gun control advocates is to eventually pass mandatory laws? Really? If you want to promote this idea among consumers, the best way is to have a few major police departments adopt it. Not only has that not not happened at all, but the police exemptions in the mandatory law proposals speak volumes. 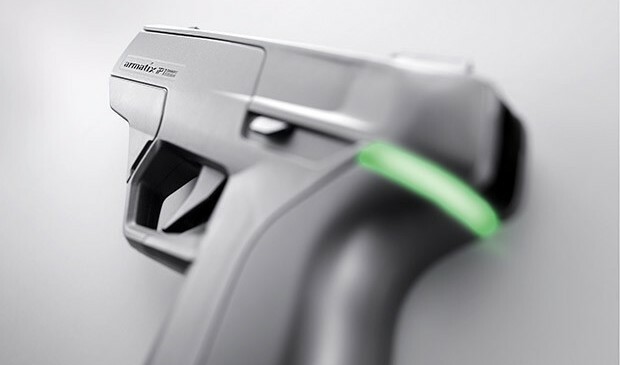 The news last week was that Armatix has developed satellite technology that would empower government actors to disable guns that use its “smart gun” equipment. Can’t you see what is coming? The unconstitutional ramification is staggering. The much-ballyhooed “militia clause” announces the reason for enumerating the guarantee (it doesn’t “grant” the right, it states the purpose for protecting it in writing), namely, to insure that the people have access to arms suitable to be used in their defense against armed aggression perpetrated by their own government. If this technology were mandated by law, the whole purpose for the constitutional guarantee would be nullified. It is not the “safe gun” technology per se that is evil; it should be available as an option for those who wish to have it. It is the totalitarian mandate such as that enacted by New Jersey and California that is evil, and as long as that potential exists, the whole idea is a monumental FAIL. No disrespect, but this sounds like fear and paranoia. 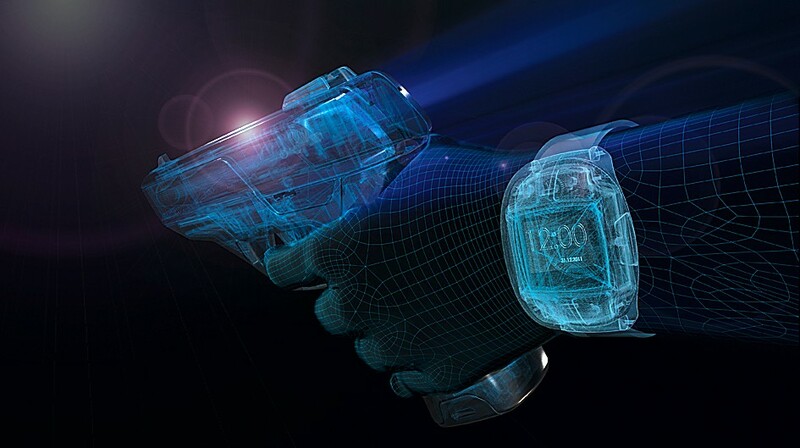 The entire purpose of introducing smart guns was to ensure that no one outside of their user could fire them and this patent is to ensure that there are backups to prevent anyone from using the weapon if and when the watch or other ID units are stolen along with the gun. And, to raise the issue yet again, the NJ smart gun law has already been targeted for repeal by the NJ Senate in exchange for the NRA ceasing in its opposition to the adoption of smart guns, which they have persisted in, and used false information in order to back up their position. This includes the 20% fail rate which is a complete distortion. And with the legislation repealed, there will be no instances of smart guns being “shoved down people’s throats”. There is no reason why consumers shouldn’t be free to buy a smart weapon if they so choose. And the case against them is tainted with misinformation and fear. A worthless offer. To even be considered, not only would the NJ law be repealed but similar proposed laws in other states must be withdrawn and their sponsors pledge not to reintroduce. Also, the Brady gun control group and Bloombergs group need to renounce efforts toward such laws. Yet the fail rate is enough that not only has no police department placed an order, but all the proposed laws have to exempt police in order to have a chance of passage. And the case for them is just as tainted by omission. Editorials and columns often attack the NRA on this issue without mentioning the stated agenda of most gun control groups and supportive legislators to make such guns mandatory. Others omit mention that the failure rate is sufficient that police are exempted. I agree. But for most gun control groups and supportive legislators, this has never been about choice. I know this goes against the natural instincts of your typical politician, but the Democratic majority could easily take the political and moral high ground by repealing the law and taking away that talking point and would both take away the issue leaving the NRA with nothing to complain about and it would also remove the political pressure being applied to this developing technology hopefully allowing its continued development to the point where it could become a marketable product. Even notwithstanding the false claim in regards to the reliability of the technology, police still consider it to not be reliable enough for its officers to use. It’s clear the the current offering falls short – it’s too expensive, it’s available in a single caliber and one that is generally considered insufficient for serious self-defense, and it’s unproven. HOWEVER, it may in fact be, as indicated in the article’s closing, just a matter of time before material improvements overcome those shortcomings. My point of disagreement is that it’s not “citizens” that need to see the value..it’s the market. The market is largely individuals, but the voice of the market comes from military and law enforcement. When those market segments “see the value” in the technology, we’ll know it because they’ll be using them. If those segments are NOT using the technology, there’s likely a valid reason. Pingback: Where were the P.A. Commissioners?